CASTLE is pleased to announce the release of their breakout fourth full-length this Summer via Ván Records worldwide. Titled Welcome To The Graveyard, the follow up to 2014’s critically-lauded Under Siege was recorded by Billy Anderson (Sleep, Neurosis, Brothers Of The Sonic Cloth, Eyehategod, Ommadon et al) at Type Foundry Studios in Portland, Oregon this past Winter and is set for official unveiling July 15th. 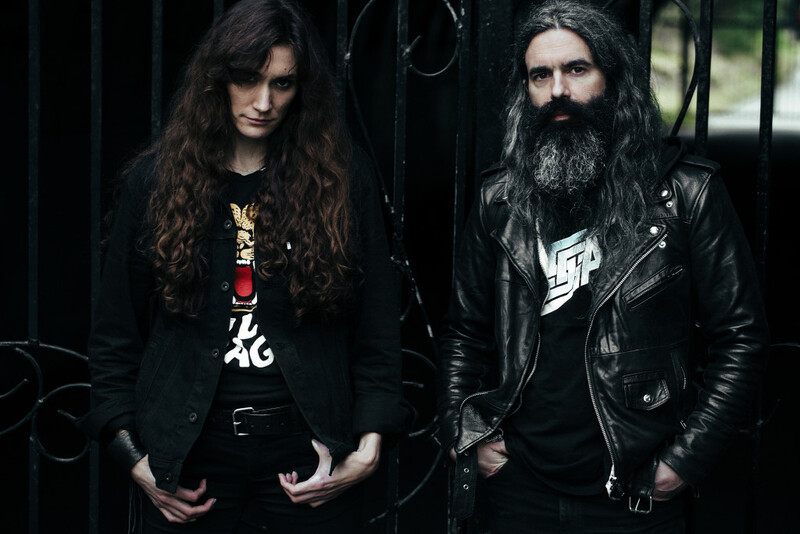 Comprised of eight tracks written over the last year, Welcome To The Graveyard sees CASTLE merge their doom-powered riffing with soaring 1970s rock . The album features a new level of confident songwriting and is a creepy-crawl through the wastelands of the band’s new Los Angeles’ ­­home; a hard-boiled barrage of classic heavy metal riffery tempered with blasts of melodic orchestrated doom. The perfect soundtrack for a Hollywood cult initiation. Elizabeth Blackwell’s haunted vocal style draws a sigil of death and madness — envision the Wilson sisters singing hymns from the stygian void, while lyrically CASTLE adapt the stark and compelling vistas of Aleister Crowley’s Amphora for the song “Traitors Rune” and Eliphas Levi’s Transcendental Magic, whose mystic rumination inspires the lyrical backdrop for the lead-off single “Flash Of The Pentagram,” currently streaming below. 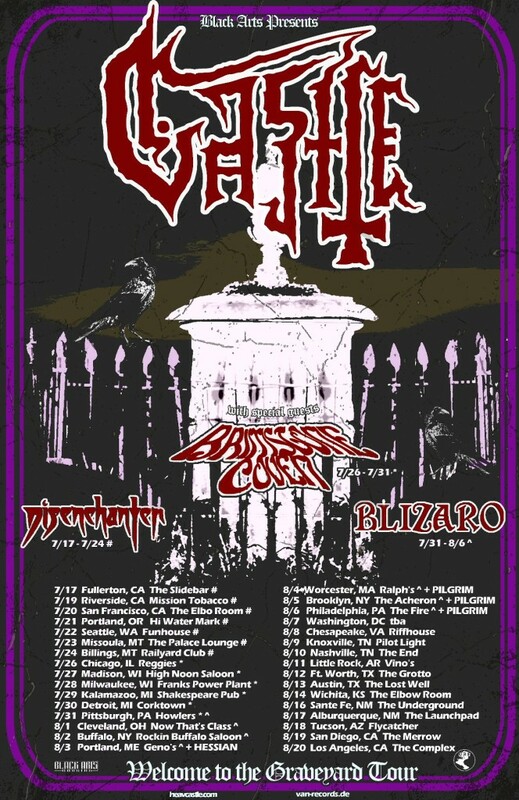 CASTLE, who recently announced a three week run of tour dates around their appearance at the Maryland Doom Fest on June 24th, will continue touring across the US throughout July and August with the announcement of thirty-two additional dates. The month-long headlining trek, which follows the release of Welcome To The Graveyard, commences July 17th in Fullerton, California and will feature regional support from a trio of the undergrounds heaviest hitters: Oregon stoner rockers Disenchanter, West Virginia dark occult unit Brimstone Coven (Metal Blade) and epic doomsters Blizaro, from upstate New York. 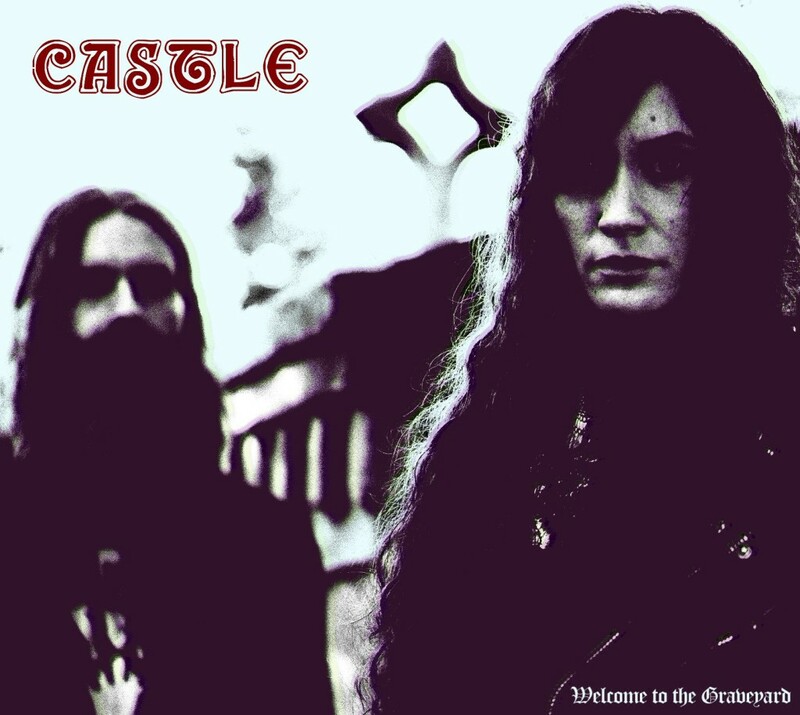 CASTLE was forged in San Francisco in 2009 and released their debut full-length, In Witch Order, on Germany’s Ván Records in 2011. The album brought light to the newly-formed band and earned them “Album Of The Year” honors from Metal Hammer Norway, as well as Roadburn Festival’s “Newcomer Of The Year.” Shortly thereafter, the band joined the Prosthetic Records roster in North America and released their critically-adored sophomore album Blacklands. 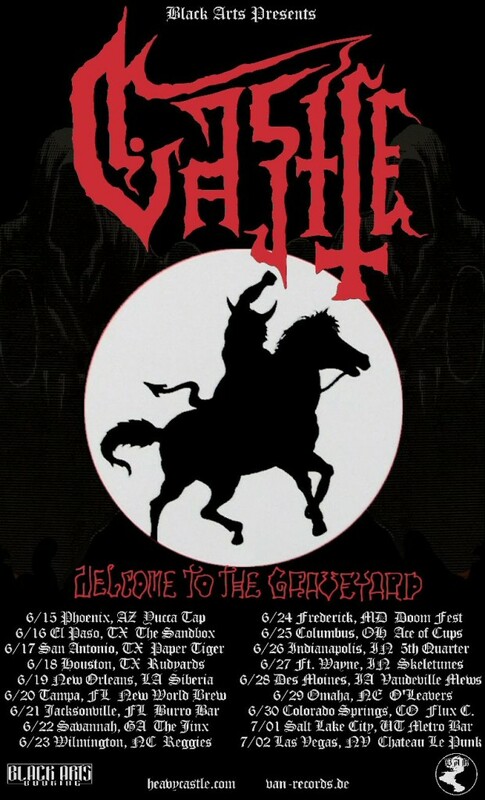 The record left to a Canadian JUNO nomination for “Metal/Hard Music Album Of The Year.” CASTLE performed over two-hundred shows worldwide in support of the release alongside the likes of The Sword, Conan, Intronaut, and Pentagram among many others as well as appearances at some of the underground’s largest fests including Roadburn, and the London and Berlin Desertfests.